Archive Complex Concerning The History of Samara Health Service in 1920s. Literary device of woman as a reader in selected works from early Soviet culture (Pantelemon Romanov: Mikhail Zoshchenko: “Пелагея” [Pelagia] and “Право на жизнь, или проблема беспартийности” [Right to live, or non-party-ness problem]). 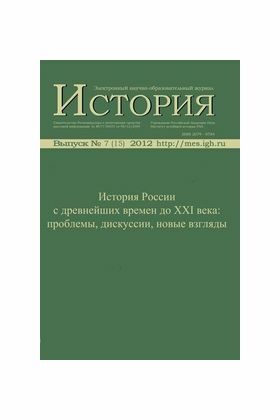 The political culture of the participants rebellions in the Russian province in the middle of the XVII century. Pskov posadniks in XIV - XV cc.